The National Stem Cell Foundation is a 501(c)3 non-profit organization that funds adult stem cell and regenerative medicine research, connects children with limited resources to clinical trials for rare diseases and underwrites the National STEM Scholar Program for middle school science teachers inspiring the next generation of STEM pioneers nationwide. Good giving standards recommend that at least 65% of a nonprofit’s total expenses go to program expenses. The National Stem Cell Foundation far surpasses that, with 75% of all donations going directly to fund research, education and advocacy. We partner with other foundations, organizations and institutions to co-fund research and clinical trials that advance therapies and technologies with the potential to significantly reduce the physical and financial burden of diseases and conditions that affect millions worldwide. We believe in the power of collaboration to maximize donor dollars and speed research into therapies for currently incurable diseases. We look for the most promising developments in the fields of neurodegenerative disease, autoimmune disease, rare childhood disorders and regenerative repair. We actively seek partnerships to co-fund projects with the greatest potential to impact healthcare. One of the world’s most respected cancer centers, devoted exclusively to cancer treatment, research, education and prevention. A non-profit foundation dedicated to finding a cure for Parkinson’s Disease. A non-profit organization working to halt, reverse and cure Parkinson’s Disease. A non-profit foundation working to halt, restore function and end MS forever. A non-profit organization working to cure the major diseases of our time through stem cell research. Improving lives by supporting excellence in orthopaedic research. Offering a full-service solution to microgravity research and design. 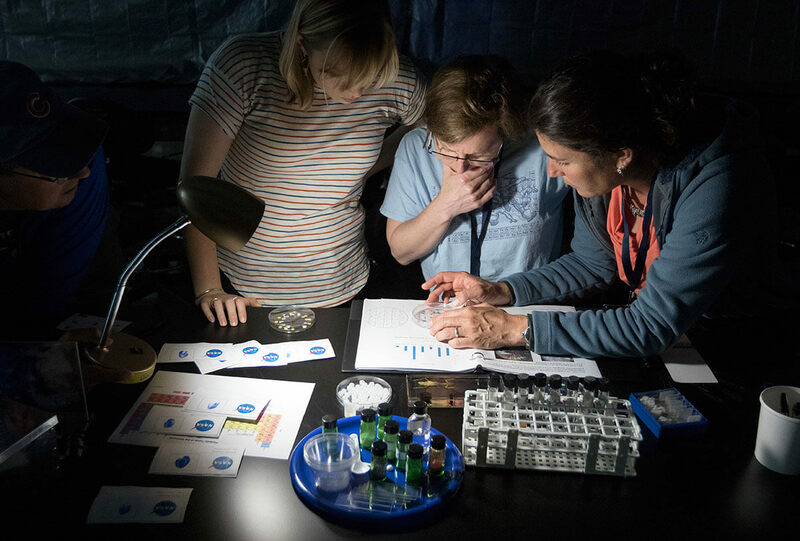 The National STEM Scholar Program funds enrichment opportunities for science teachers motivating students at the tipping point of life-long science interest – middle school. Research shows that children in middle school who become excited about science are the ones who will pursue STEM (science, technology, engineering and math) courses in high school and major in STEM subjects at the college level. According to the President's Council of Advisors on Science and Technology, the U.S. needs approximately 1 million more STEM professionals than it can produce at current graduation rates. We believe focusing our efforts and resources on reaching the influential middle school science teachers inspiring the next generation of STEM research pioneers will bear fruit now and into the future. NSCF has partnered with the Gatton Academy of Mathematics and Science at Western Kentucky University (WKU) to provide advanced STEM training and network building opportunities for 10 middle school science teachers selected annually from a national pool of applicants. The 30 Scholars to date represent 20 states, from Alaska to Maine and Minnesota to Florida. Each Scholar class convenes in June on the campus of WKU for a week of advanced training and project development, and again the following March at the National Science Teachers Association Annual Conference. A significant requirement of the program is the responsibility for sharing lessons learned with colleagues in the Scholar’s home school, district or state. The ripple effects of this program are being studied as an ongoing research project in innovative education program outcomes by Gatton Academy and the WKU School of Education. Through the National STEM Scholar Speaker Series, each Scholar class spends a day working with a national or international thought leader in education who will present to a regional audience of educators, legislators, policy makers and students that evening. NASA has recently approved our competitive application for a downlink from the ISS (International Space Station) to allow students from all 40 National STEM Scholar schools to talk directly to astronauts in orbit during the fall 2019 semester. The downlink will be carried live on NASA TV, allowing international streaming for school and student viewing worldwide. In partnership with the Kentucky Science Center, the Frazier History Museum and others, NSCF will host between 1,500 and 3,000 students, teachers and their families in Kentucky and Southern Indiana for a downlink event that includes astronauts, national speakers, panel discussions and high-tech activities in several venues. Students of our Louisville Scholar, Buffy Sexton, will ask the astronauts questions submitted by their fellow students across the country while the downlink is streaming live on the IMAX screen at the Kentucky Science Center. Kentucky’s first state-supported, residential program for high school students with interests in advanced math and science careers. Brings a national or international thought leader in STEM education to Kentucky each year to engage directly with the Scholar class and speak to a regional audience of educators, administrators and policy architects. Our patient advocacy programs connect people to life-saving treatments and potential cures. We fund the national efforts of Sharing America's Marrow (S.A.M.) to significantly increase the donor pool for life-saving bone marrow transplants. In 2015 and 2016, the S.A.M. team enrolled over 24,000 new donors on the National Marrow Donor Registry and found more than 500 matches for people on the waiting list. In 2016, they received the RARE Champion of Hope Award from Global Genes. In partnership with the Pediatric Blood and Marrow Transplant (PBMT) program at Duke University, we help cover insurance deductibles and co-pays for children eligible to participate in potentially life-changing clinical trials when the out-of-pocket costs are beyond a family's means. Children from all over the United States and around the world travel to PBMT for access to clinical trials for rare, disabling and sometimes fatal diseases. These are children with no other treatment options and often limited financial resources. A nationwide campaign to substantially increase the number of potential donors on the bone marrow donor registry. A world leader in caring for children with blood and bone marrow diseases with the resources and technology to perform advanced procedures on young children with any stem cell source.